Binary Star Release New EP; First Material in 13 Years! MCs One Be Lo and Senim Silla make up the unforgotten rap duo Binary Star that until recently had been on a 10-year hiatus, only releasing material in the meantime individually via their solo endeavors. Since 2000’s classic Masters Of The Universe, many fans had assumed that they’d never again have the pleasure of enjoying a new effort from the Michigan pair, but alas! 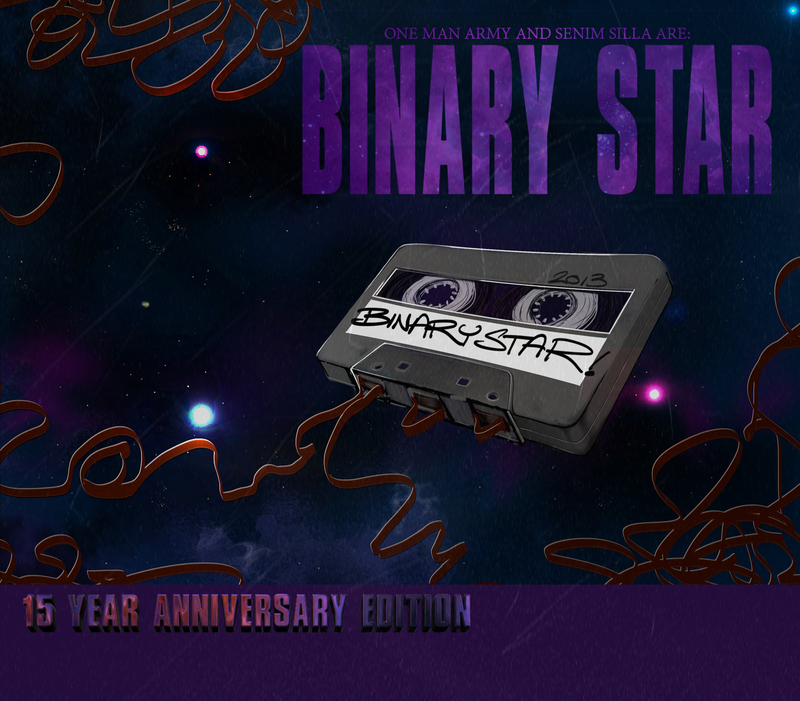 Binary Star have just released a brand new self-titled 6-track EP and I think it’s safe to say that the wait was worth it. One Be and Silla are back with a furious style, classic inspired beats, and soulful samples a plenty. If you’re a fan of hip-hop, you won’t want to miss this. Binary Star is hands down one of the best rap releases of 2013 thus far. You can stream the EP in its entirety after the jump via Binary Star’s Bandcamp. Enjoy!